Till now we all know that smoking causes cancer which cancer lung cancer. But recent studies says that smoking causes secondary smoking-associated cancers like bladder, kidney, head and neck also at higher rates. Smoking up causes secondary cancer. As survival improves a lot number of smoking related cancers, patients are living longer, however smoking may cause increase in secondary smoking related cancers in these patients. Says Meredith S.Shiels, lead study author and research fellow with the National Cancer Institute’s Division of Cancer Epidemiology and Genetics. Researchers examined data which included about 2552 patients with lung, 6386 with bladder, 3179 with kidney and 2967 with head and neck cancer. Patients who smoke more than 20 to 25 cigarettes for a day had a 5.41 fold higher risk of developing cancer than individuals who have never smoked. 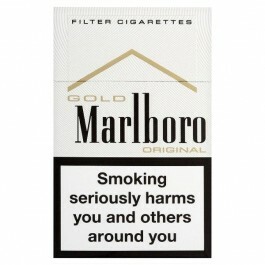 However, smoking at any stage will reduce the mortality by some extent. And in India government is planning to set rule of 80% place on ciggarette box should have warning. 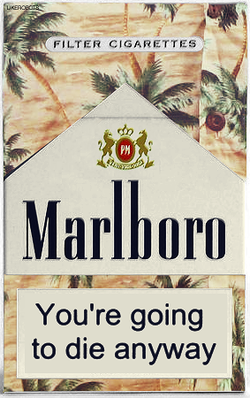 And Marlboro is spreading different type of warning by saying these many boxes may fetch you this opportunity to buy them so quit, like that.